Always enter the ring before the lions. Always. There’s some really interesting animal psychology behind this. The idea is that whoever gets into the space first, owns it. When a lion enters a space and finds another animal there – whether it’s a human or another lion or whatever, the newcomer instinctively goes on the defensive. And in defensiveness, it instinctively moves towards the submissive in the submissive/dominant dynamic the characterises animal life. 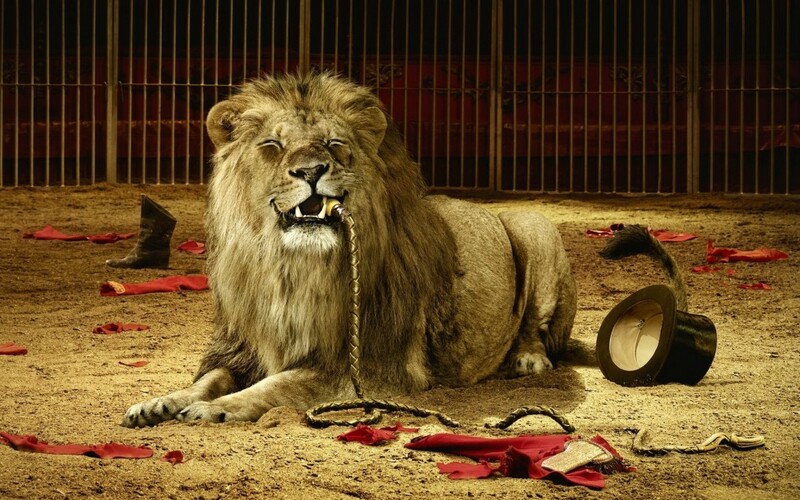 With the upper hand automatically, all the lion tamer has to do is crack his whip a few times, and his dominance over the lions is cemented. Its this dominance that allows them to stick their head in their mouths and do all that crazy stuff. But if the lion tamer comes in after the lion, then the lions have assumed dominance, and the lion tamer somehow has to wrest it off them. That’s not easy. Ever try to force a cat to do something? How about a 400k.g cat! Whoever owns the space has the upper hand. Ok Dymphna Doolittle, why are you telling me this? This all came to mind after talking to one of my students, Joyce. She’s just starting out on her journey with real estate, and she’s in the process of putting together her A-team. Right now, she’s looking for an accountant – someone who ‘gets’ property, and importantly, someone she can get along with. So, what’s my advice to Joyce? Don’t go to visit them. Don’t go and see them on their turf. You can see the dynamic it sets up, right? You might feel like a lion with all the facts and questions you want answered, but once you step into their office – their space – they have the upper hand. You’re on unfamiliar ground, and if they’re bunkered in behind a big desk, in an imposing chair, you’ve got to work extra hard to flip that submissive/dominant dynamic. And the real danger is that the interview gets flipped on its head too. Remember you’re the one with the job opening on your team. You’re the one paying the wages. You’re the boss here. You’re interviewing them, not the other way round. For a lot of people, this is an unfamiliar role. If you’ve run a small business, or worked in management positions it might come easier to you. But if you’ve never been the boss, it can take some getting used to. You can end up feeling like a bit of a pretender. But that’s where you’re going, so you’ve got to be able step into that role from day one. Just fake it til you make it baby! Remember you’re the boss and you’re interviewing them. Another thing that can sap your confidence is the information asymmetry between you. They know a massive amount about tax law. You know almost nothing. There’s a tendency to defer to those with more knowledge. Imagine you’re the hiring manager at Qantas. You need a new chief engineer. It doesn’t matter that you know nothing about how flight engines work. You can still find out what you need to know. Have you worked in a similar role before? What did you achieve? What will you be bringing to the role? Do you have references I can talk to? This is exactly what you want to be asking your accountant. Do you work for any other property investors? How have you helped them? Do you have a passion for property? Why do you want to be on my team? What will you be bringing to the role that I can’t get elsewhere? These might sound like tough questions, but you’re not a charity. You’re in business – the business of property. Anyway, where was I? Oh yeah, back to Joyce. So I said to her, don’t go and meet them. If you’ve got a home office, see if they’ll come and see you there (get a big desk and a chair!) Or set yourself up in a café somewhere, arrive early and get them to meet you there. And you don’t need to explain yourself. You’re the boss, you’re the one potentially offering the account an ongoing and lucrative revenue stream. And it might seem unusual, but you’re trying to live a pretty radical life here – as a full-time investor. You’ve got to get used to living outside the square. Don’t get hung up on normal. Anyway, these are a few tricks, but the key point is, it’s your business, it’s your financial future. Do whatever you need to do to get and keep yourself in this state of mind.